Heat capacity is how much heat an object can absorb before it increases in temperature. I really enjoy teaching students about specific heat capacity but try to relate this abstract idea to some concrete examples. The demonstration below is a really great way to get students thinking about just how much energy must be transferred to water to raise it’s temperature. 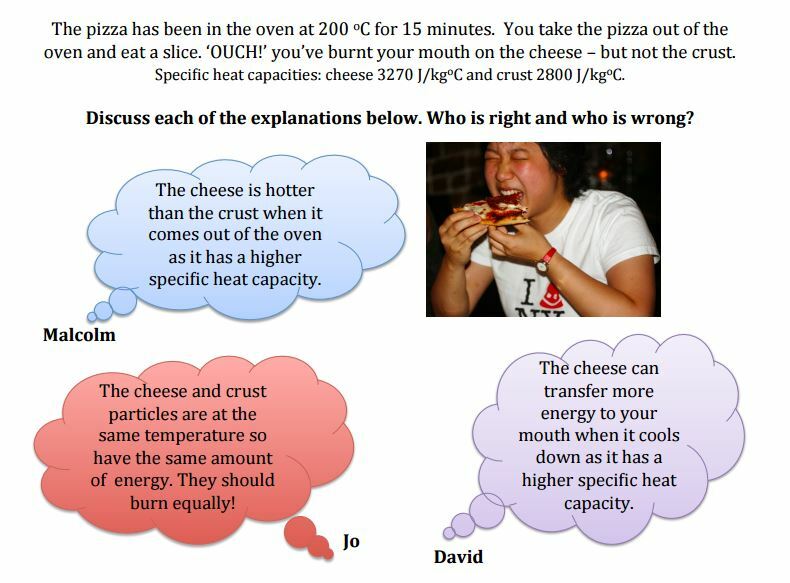 Show students some values for specific heat capacities of different foods – which ones will burn you? !